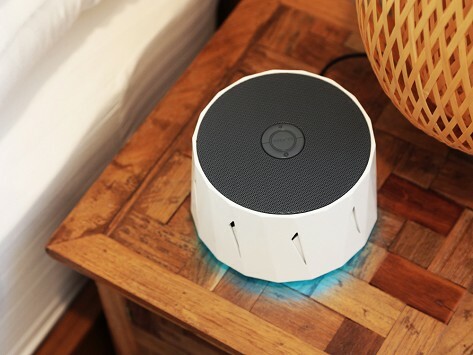 This modern sleep noise machine has a fan inside that creates soothing white noise, unlike others that use sound recordings. Give it a twist to open the airflow vents and amplify the sound. The device has a sleep timer, USB charger, and color-changing nightlight, and is small enough to take with you to get a good night’s sleep just about anywhere. In addition to the sound Dozzi creates, we also appreciate its other features. It has an integrated USB charger, sleep timer, and color-changing nightlight to help create that sleep-perfect atmosphere. Its compact design is easy to take with you to help lull you to sleep just about anywhere.